15 Then the Pharisees went and plotted to entrap him in what he said. 16 So they sent their disciples to him, along with the Herodians, saying, "Teacher, we know that you are sincere, and teach the way of God in accordance with truth, and show deference to no one; for you do not regard people with partiality. 17 Tell us, then, what you think. Is it lawful to pay taxes to the emperor, or not?" 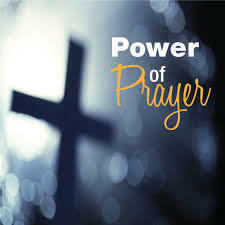 18 But Jesus, aware of their malice, said, "Why are you putting me to the test, you hypocrites? 19 Show me the coin used for the tax." And they brought him a denarius. 20 Then he said to them, "Whose head is this, and whose title?" 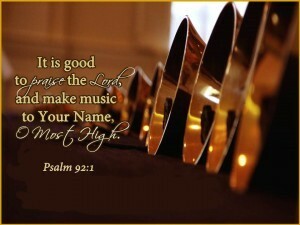 21 They answered, "The emperor's." Then he said to them, "Give therefore to the emperor the things that are the emperor's, and to God the things that are God's." 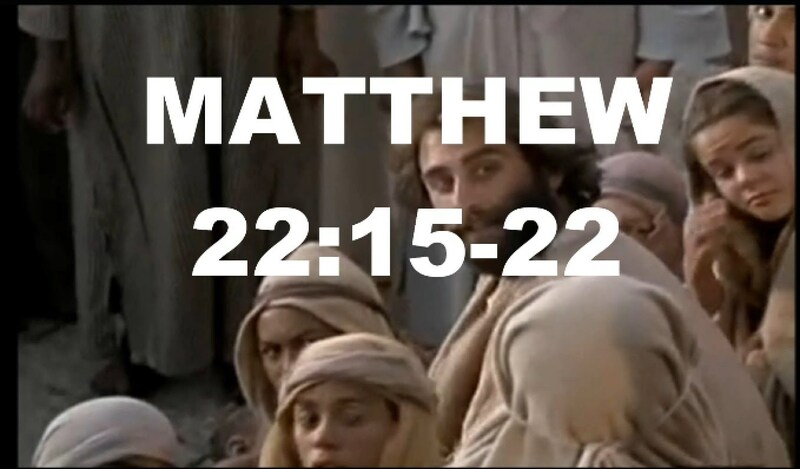 22 When they heard this, they were amazed; and they left him and went away. Welcome to the Western Iowa Synod Pastor Stedge!! Please help us welcome Pastor Kristine Stedge who was installed at First Lutheran Church in Sioux City on October 8th!! A special moment as several rostered leaders joined together, paying their respect and honor as they said farewell to a friend and colleague at the funeral of Rev. Lorene Glant on Saturday, October 7th at St. Luke Lutheran Church in Sioux City. Please keep her husband John and their family in your prayers. 500 Food Item Challenge!! Are you participating? 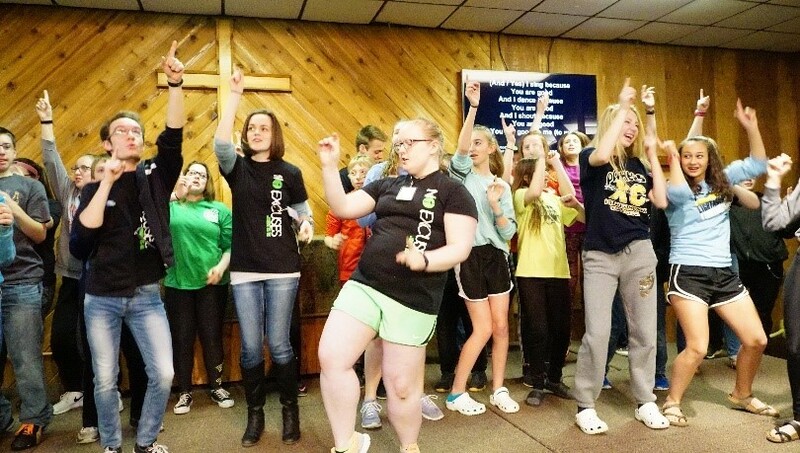 We (At Bethany Lutheran Church in Emmetsburg) want to challenge the churches of the WIS. Starting October 1st, we are collecting 500 food items by October 29th. We will be giving the food to our local food pantry. 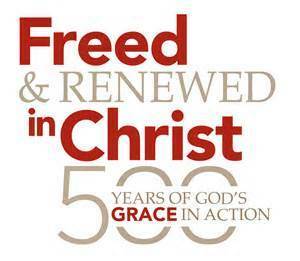 500 items in celebrating the 500 years since the Reformation. 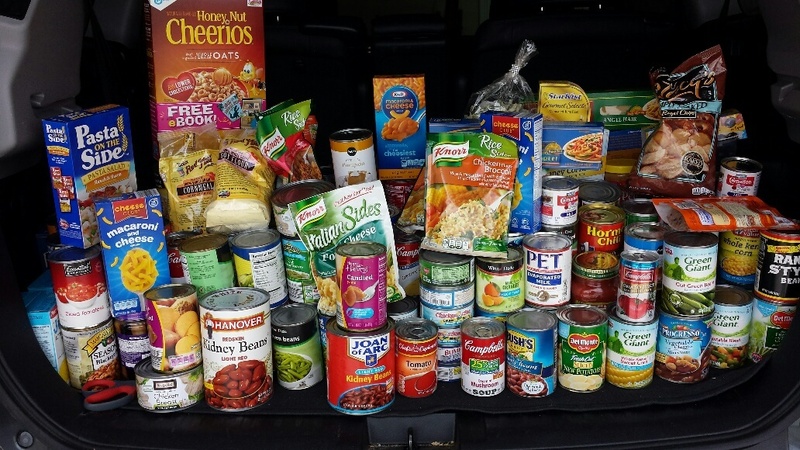 So we challenge other churches to collect 500 food items for their local food pantry. If your church accepts this challenge then we ask that you take pictures and tag the WIS Facebook page and/or send to Lynn. Let's do this!! More info and events can be found here! 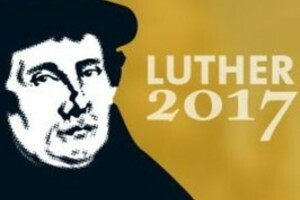 October 29th - joint reformation worship w/Nebraska Synod at St John Parish, Creighton University Campus, Omaha at 2:00 pm w/two host sites livestreaming the event: St Mark in Storm Lake and Immanuel in Akron. Last Call for Registrations!! Register NOW!! ConFest is an evening for confirmation students and their leaders/pastors to come together for a time of worship, fellowship, learning and activities. Are you ready to get a little time away from the stresses of daily life? 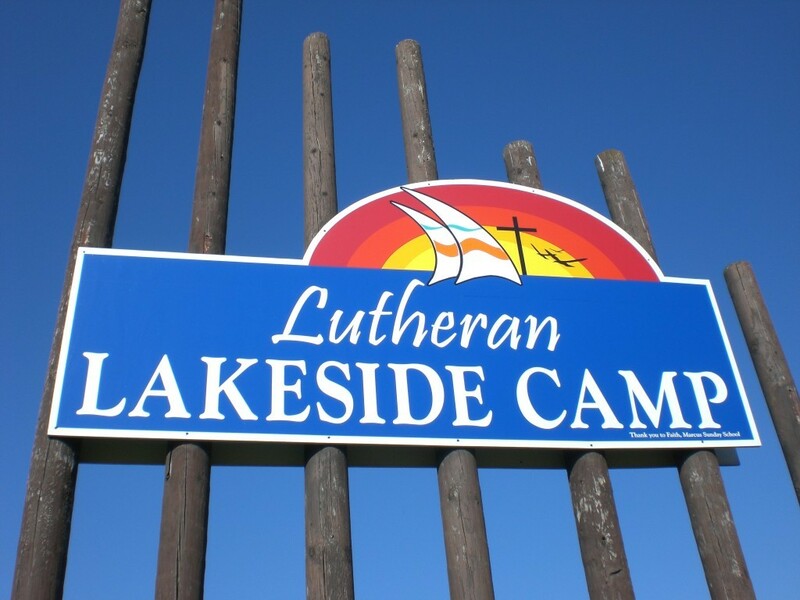 Join us for a wonderful day of relaxation, friendship, faith, and fun at Okoboji Lutheran Bible Camp, a ministry of Ingham Okoboji! This one-day retreat, will include sessions, worship, great food, free time activities, and more. 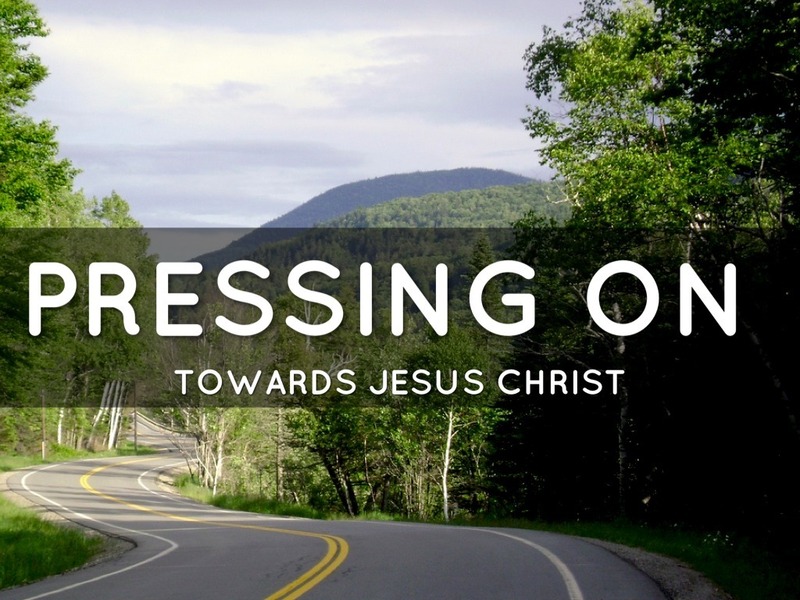 Our theme for Women’s Day Away is “Pressing On”. Each session throughout the day will cover one chapter of Philippians, with speaker Rebecca Meidinger. We hope you will be able to escape for a day away and join us! The Retreat will take place on October 21st from 9-5 pm. Find out more information at www.okoboji.org/womens-retreat and Register Today! Flier Here! This event is a follow-up to the Peter Steinke presentations in May of this year. The upcoming event will be led by the Rev. 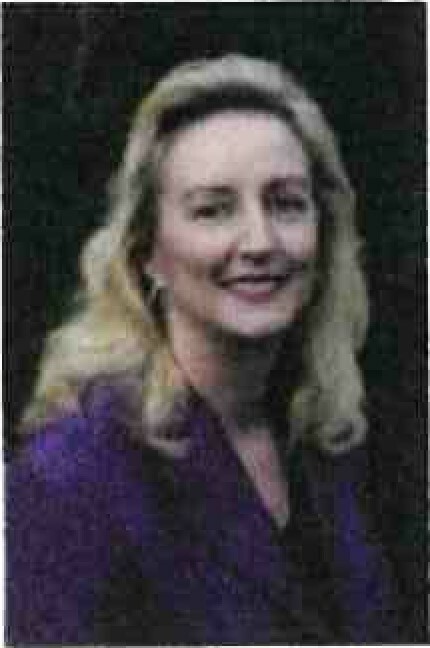 Leigh Beasley Gillis, a trained facilitator with Healthy Congregations, Bridgebuilders, and other congregational programs. 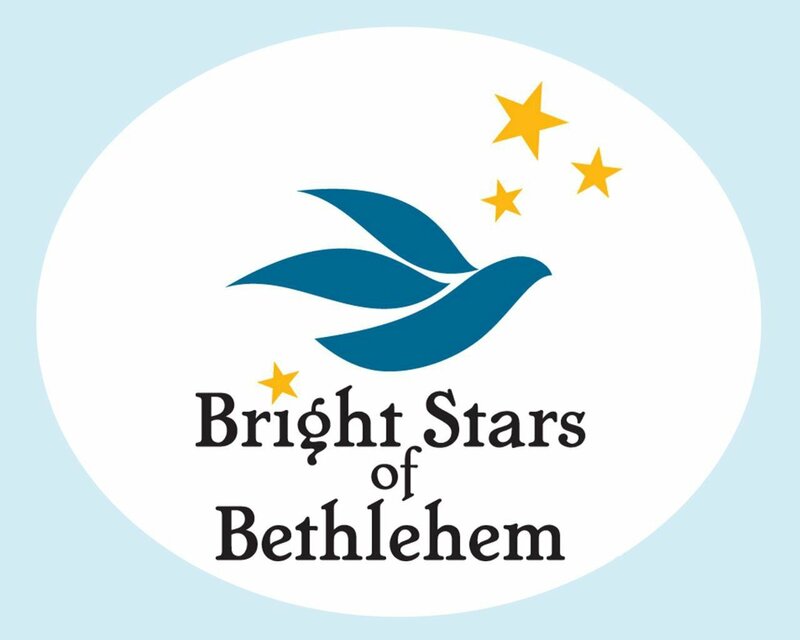 This event will focus upon congregations that are addressing conflict, that may want to be proactive about managing conflict, and how to work through various issues. Leigh has been trained by Pete Steinke, is a seasoned and experienced pastor and church executive. Event flier here! Registration will open in December!! Please mark your calendars and make plans to attend!! 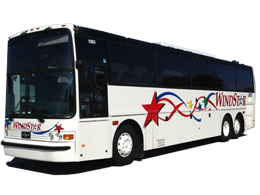 The onsite component of the January 2018 course will begin the afternoon of January 14th and end the afternoon of January 19th at Mount Olivet Conference and Retreat Center in Farmington, MN. There will be two online sessions prior to the onsite component. Registration opened on October 19th; you can learn more on the Deaconess Community website. 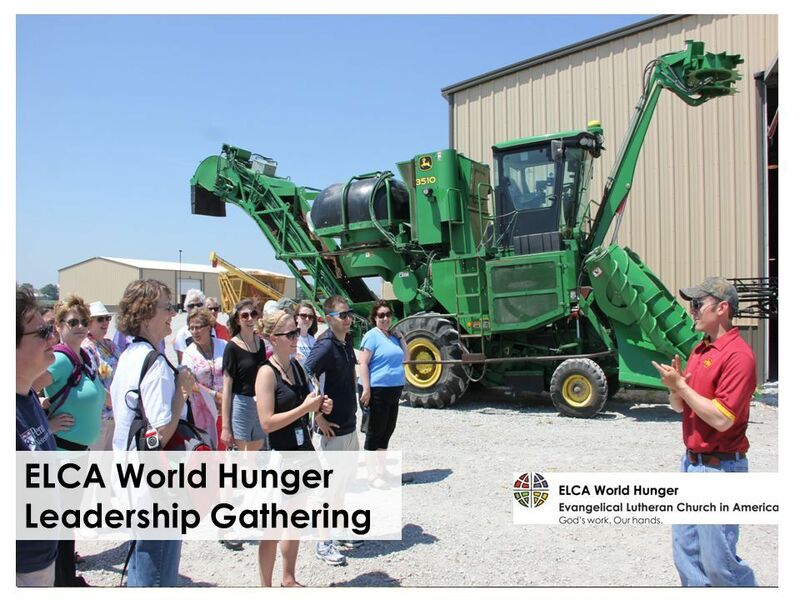 Join other ELCA hunger advocates in Washington, DC from Jan. 21-24, 2018 to learn about ELCA hunger initiatives, the upcoming Farm Bill and realms of advocacy as you meet with Iowa Senators and Representatives on Capitol Hill to uplift wise and moral policies that help all to be fed. 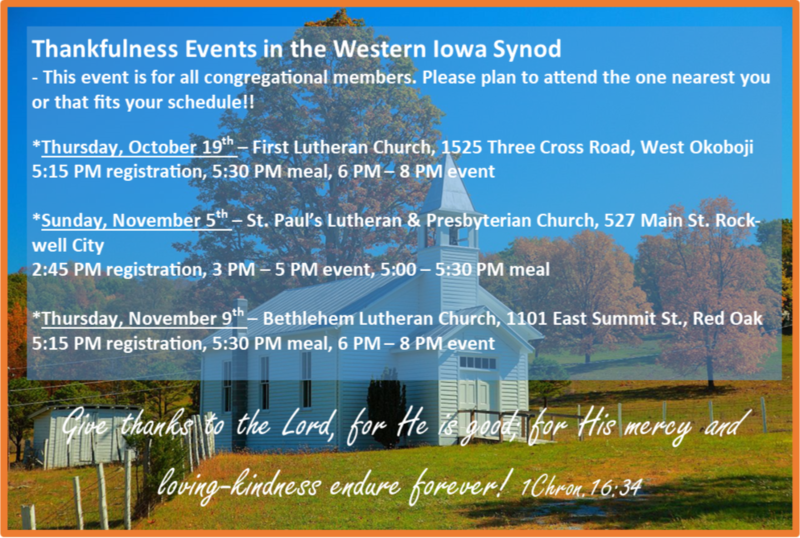 Two per synod are invited with all major event costs covered by the ELCA and/or the Western Iowa Synod. 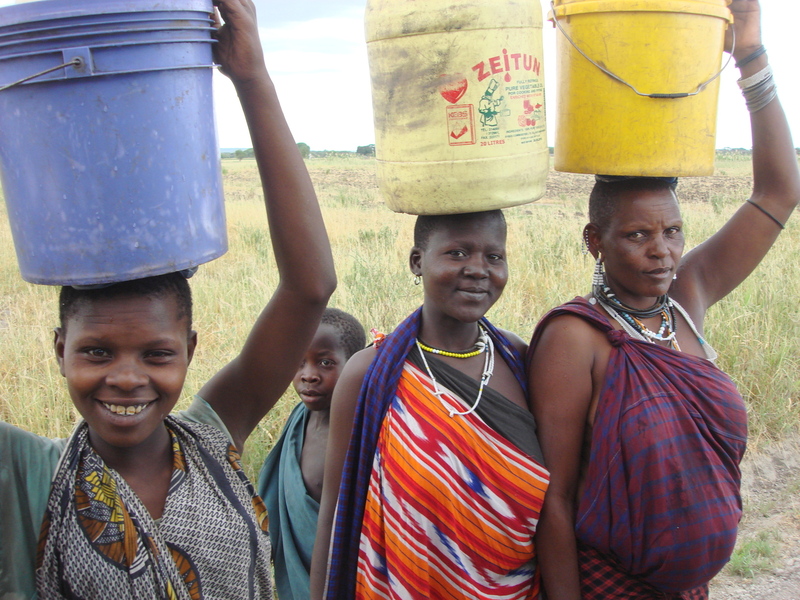 Participants are expected to serve on the WIS Global Mission/Hunger Network thereafter as we strive to increase awareness, advocacy and action in our synod on hunger issues. Interested participants are to contact Cindy Wells, WIS Director of Global Mission, by Nov. 3 to submit their name for consideration (cindy.wells@wisynod.org; 712-732-4968 Ext. 441).